First up let's just take a minute to admire those gorgeous little tweezers, I'm a sucker for anything small and dinky and being in the colour pink is just a bonus aswell! 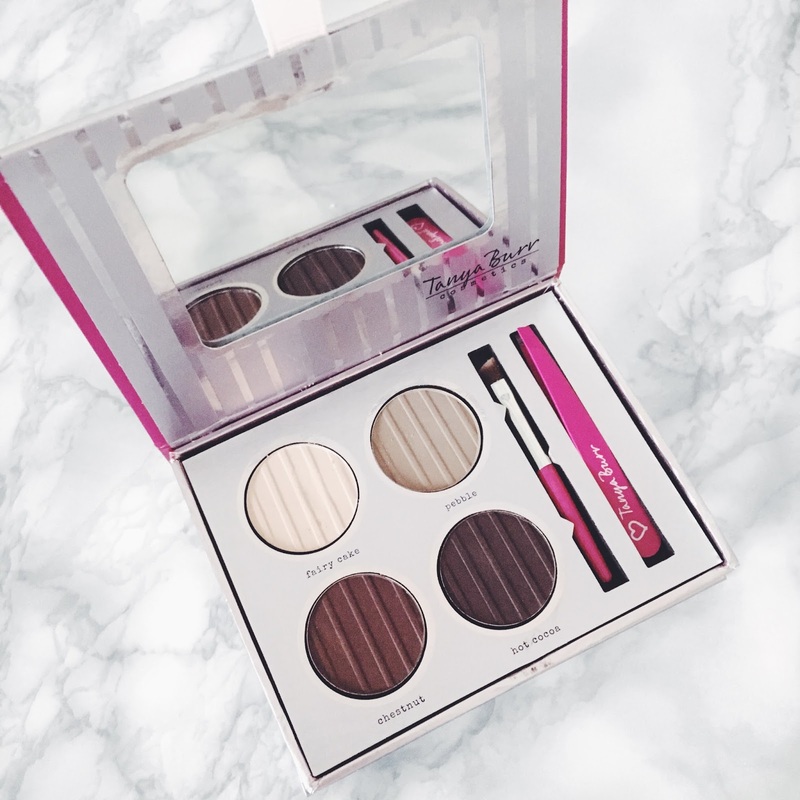 I've been thinking about purchasing this Perfect Brows palette since it was first available in the shops, but it's only recently that I've got into doing my eyebrows. I used to get them threaded every now and then but to be honest I never really saw a difference in them every time I got them done so in the end I stopped paying for them to be threaded. So now I buy waxing strips and do them myself, and I'm slowly getting them into the shape that I like and am happy with. I have tried filling in my eyebrows with the colour "Pebble" in this palette but it didn't look right to me....maybe it's where I'm not used to filling them in? Or maybe I need to use the next colour up from that which is "Chestnut". I'm sure I'll get better at it time. I love using the colour "Fairy Cake" just under my brow bone as it really lightens your eyes up, or at least it does for me anyway. I really like all the products in the range Tanya Burr has brought out, and I'm looking forward to trying out more of the stuff as and when I buy it, as I'm not currently spending money on "luxurys" for myself at the moment where we are saving to move back to London in a few months time.